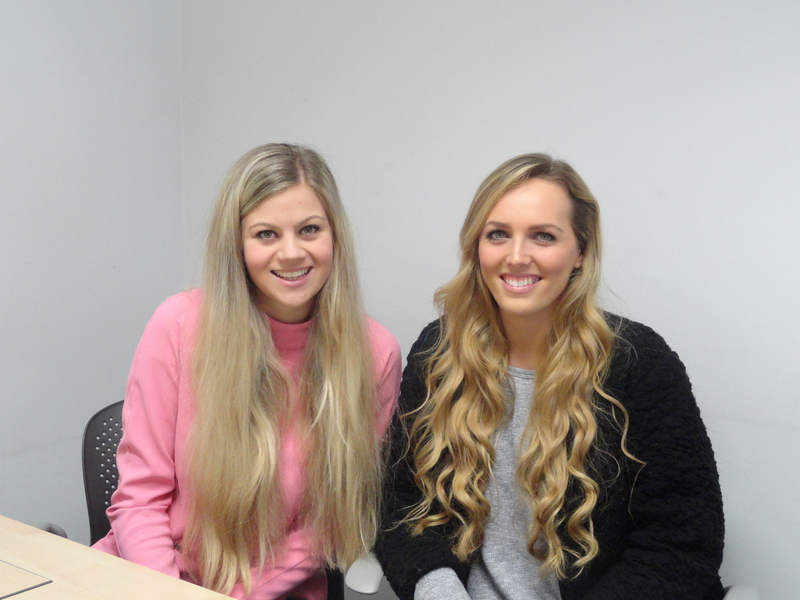 Natalie and Charlotte are final year law students who work in the Student Law Office as part of their MLaw degree at Northumbria University, Newcastle. In the Student Law Office, students work in teams of six (known as “firms”). Different firms specialise in different areas of law. Natalie works in a Civil Litigation firm and Charlotte works in a Business & Commercial firm. Here, they reflect on their experiences to date…. Why did you choose your firm? Natalie (Civil Litigation): During numerous placements and throughout university I discovered a real interest in civil law. I really enjoyed the type of work undertaken by a civil firm and I was excited at the prospect of being able to engage in the variety of work contained within the civil law remit. Charlotte (Business & Commercial): I wish to practice in a commercial firm in the future and I thought that this firm could provide me with much needed experience in this area. What have you found most surprising about your area of law? Natalie: When I mentioned I had opted for a civil law firm because of the option to engage in a variety of work, I had not envisaged just how diverse the cases would be from each other. Nobody in my firm, as of yet, has had a case even remotely similar to anybody else’s. All of the cases dealt with in my firm have been really specialised areas of law which has really surprised me. The standard breach of contract claim I had envisaged dealing with, at least once, has so far not ensued. Charlotte: When working in a business & commercial firm, the expectation is that the clients for the most part will be stereotypical ‘businessmen’ – i.e. people dressed in suits etc. However this is not the case at all! We have a real variety of clients who come in for business-related advice and that came as a surprise to me. What do you think sets your firm apart from others? Natalie: The variety of work definitely sets the civil firms apart from the others because it gives us a wide scope of experience in many different disciplines. We are often involved in specialist areas of law that we have not come across before. This is very exciting and always keeps us on our toes! Civil students also have the opportunity to draft court documents and witness statements, prepare contractual agreements, be participant to negotiations between parties and even (where appropriate) represent clients in court! Charlotte: Being in the business firm offers you opportunities to go to various events. These events are excellent networking opportunities and can be beneficial for commercial awareness. One such event we attended was the hosted at the Newcastle Business & IP Centre. This was the ‘Inspiring Entrepreneurs’ event, which featured a live link-up to the British Library in London where a panel of business leaders answered questions from the audience and via twitter. It was interesting to learn how the various entrepreneurs started out and overcame any obstacles they faced. We also have been given the opportunity and funding to travel down to London to give advice to our clients! This is a really exciting opportunity. How many cases do you have on at a time? Natalie: Typically I have had two cases running at any one time, although my case load has varied from three to one in accordance with the progression, complexity and workload of each case. Charlotte: Usually students have two cases running at one time. Even if you have a couple of cases, you can manage your own time and set your own deadlines and as a result have more independence in your cases. What type of cases do you deal with? Natalie: There is such a wide variety of cases that my firm and I have dealt with, including issues such as planning, judicial review, negligence and wills. This variety has enabled me to gain knowledge and experience in lots of different areas of law. Charlotte: There is no set type of case that comes through the door – they can cover a wide range of issues such as intellectual property, setting up a business, directors’ duties, websites, various types of organisations etc. How have you found juggling SLO with your other responsibilities? Natalie: To start with I found this quite challenging as I prioritised my work in the SLO, in order to meet the relevant deadlines. However, during my second term in the SLO I have managed to balance my time spent in SLO more equally with my other subjects, although naturally there will always be peaks where SLO will take priority again. Charlotte: I have found this manageable. Unlike some other firms which deal with contentious issues, there are no set limitation dates which affect our cases. Nevertheless we work hard to prepare timely advice for our clients. Each week you have a “firm meeting”. What is a typical firm meeting like? Natalie: Most firm meetings, either at the beginning or end, entail a run through of everybody’s cases and talking through any problems we have encountered with our cases during the previous week. The body of each meeting varies from debating, civil procedure quizzes and games, looking at ethics and professional conduct and working on reflection, which has, embarrassingly, even involved my firm watching and providing feedback on my initial client interviews. Charlotte: Firm meetings include discussing our cases and next steps, focusing on reflections, discussing articles that can be useful in reflections and visits out of the SLO such as to the Newcastle Business and IP Centre. You also get the opportunity to lead a firm meeting? What happens in student led firm meetings? Natalie: There are no specific topics set, although it must be SLO or civil related. They are likely to involve: reflections, debates, discussing articles, civil law games and quizzes and professional conduct. Charlotte: Firm meetings can be on anything the student wishes. They can be focused specifically on SLO – e.g. reflection practice or organising personal files, or geared more towards ‘business’ and focus on developing our commercial awareness and professional conduct skills. What have you learnt the most since the start of the SLO? Natalie: I have learnt a great amount since starting in the SLO from opening, running and closing files to legal researching and writing. Overall, I have learnt how to apply the law in practice and how to tailor my research and advice to the client’s specific needs. This has enabled me to achieve the best outcome for the client. Charlotte: Working in the SLO, you are no longer looking at the law for an academic purpose, but to help real clients. As a result of this I have learnt how to apply the law to real scenarios and am able to give better advice to clients in the context of their needs. Would you wish to continue in this area in the future? Natalie: I have really enjoyed the work I have undertaken in this area and I would definitely like to continue with these types of cases in future. Civil law tends to crop up in most other disciplines therefore I am positive this will not be my last encounter with civil law! Charlotte: I would definitely like to continue in this area in the future. Law firms are a business and working in the Business & Commercial firm has helped me gain commercial awareness and better knowledge in general from discussing client cases in context of the client’s needs and the needs of their business. How do you think it’s prepared you for a training contract? Natalie: I’ve been given a lot of responsibility and independence in running my cases and I have managed my own cases from start to finish and met all of the deadlines without any prompting from my supervisor. I feel that this experience has been invaluable because it reflects what I will be doing as a trainee. Furthermore, having gained practical experience in how a client file is ran and organised will definitely provide useful when starting as a trainee. Charlotte: Working in the SLO teaches you time management and how to manage and develop a case. It also helps with organisational skills as you have to keep your personal and client files up to date in line with professional practice. Following office procedure helps you prepare for the workplace environment and seeing professional conduct issues in practice helps you to identify them and learn how to tackle the issues. This blog post was written by Natalie Richards and Charlotte Stapleton. Upon graduation, Natalie hopes to secure a training contract with a commercial firm. However, in the interim she will join her family business, developing her commercial awareness by gaining a solid understanding of how an international company is run. She strongly believes that this will make her a better lawyer. Charlotte also hopes to secure a training contract with a commercial firm. In the meantime she plans to gain work experience through working as a paralegal or legal assistant in a company with a range of specialities in order to give herself a broad range of experience. ← Don’t be caught out by fake business registers!